Justin Anderson trained as a painter at the Slade School in London and subsequently at the Rijksakademie in Amsterdam where he began to work in video. His work has been shown in galleries and museums internationally alongside artists such as Paul McCarthy and Carsten Höller. He spent some years working in advertising until he started directing short films. He has won many awards for his work in fashion – which include collborations with Giorigo Armani, Agent Provocateur, Roksanda Ilincic, and Richard Nicoll. 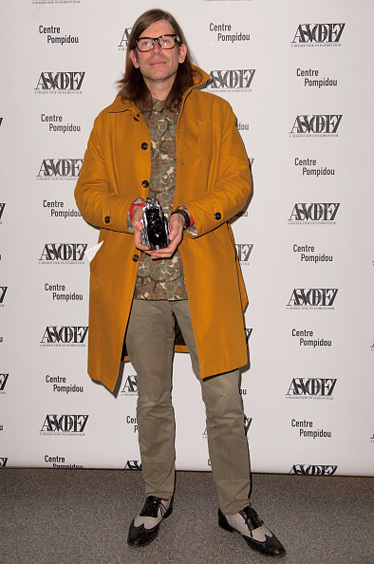 His recent film Jumper for Jonathan Saunders won the GRAND PRIX at the ASVOFF Awards at the Pompidou in Paris. His work is regularly featured in Italian and French Vogue, Purple Magazine and I-D. He also directs Pop Videos featuring articulated trucks, commercials and short films. In December 2014 he optioned the Booker nominated novel Swimming Home by Deborah Levy which is in development for his first feature film.